My beautiful daughter, Alexa modeling one of our Elastic Hair Ties! Getting ready for the Craft Show at St. Columbkille Catholic Church in Imperial, Pa! Tomorrow, Saturday Sept. 10th @ 9am-2pm! We will have ALL of our HAIR TIES at the show! Hope to see ya there! Our very first order! Thank you for your business! 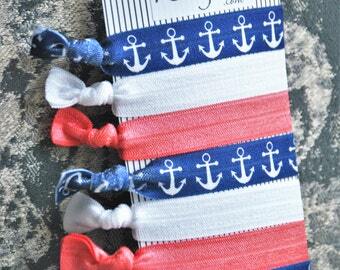 Check out our newest hair ties now in stock! Getting ready for the Craft Show at St. Columbkille Catholic Church in Imperial, Pa! Tomorrow, Saturday Sept. 10th @ 9am-2pm! We will have ALL of our HAIR TIES at the show! Hope to see ya there!